7 Waterproof 360 Cameras - Take your 360 Camera Underwater! The GoPro Fusion (check price on Amazon) is my number 1 recommendation if you’re looking for a waterproof 360 camera. Not only is the Fusion fully waterproof without a case, but it also shoots the highest quality 360 video under $1000. Check out this epic video shot with the Fusion, filmed underwater with a lot of sharks! The Fusion can shoot excellent quality video thanks to its dedicated optics that are able to capture greater detail than its competitors. The Fusion also comes with GPS, excellent stabilization technology and the ability to shoot RAW photos. The best waterproof 360 camera available now. Completely waterproof up to 10m and can shoot amazing quality 5.7K 360 video. The VIRB 360 is a waterproof 360 action camera developed by Garmin, I’ve owned this camera for a while and have used it underwater. The VIRB 360 is completely waterproof up to 10m and can shoot 5.7k 360 video, both superior to the GoPro Fusion. The reason this isn’t my number 1 choice is that while the VIRB can shoot higher reosltuion video, the quality isn’t actually as good. It’s also quite expensive, retailing at around $750. For this you do get a huge number of sensors and capabilities not found on any other consumer 360 camera. The VIRB features internal stabilization and has over half a dozen sensors; you can even overlay graphics, such as a speedometer, using the official app. 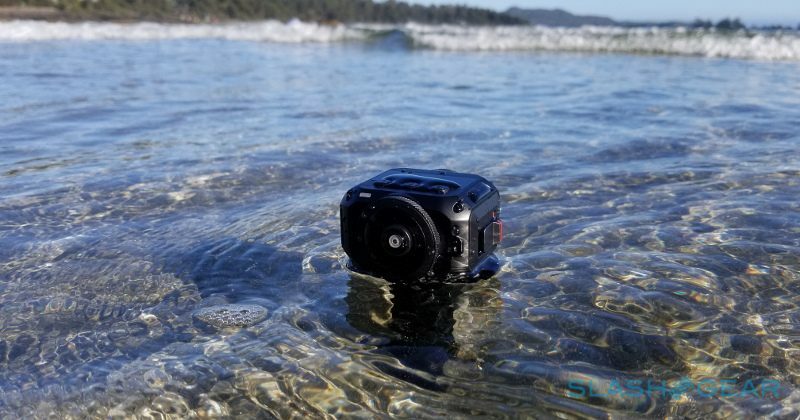 The camera does not require any extra housing or cases to be waterproof, so you can take it underwater straight out of the box. As well as being the best waterproof 360 cameras, the VIRB is one of the best overall cameras for video. 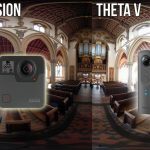 The Theta V is one of the most powerful 360 cameras available and with it's 30m water resistant case, you can shoot high quality underwater 360 content at extreme depths. 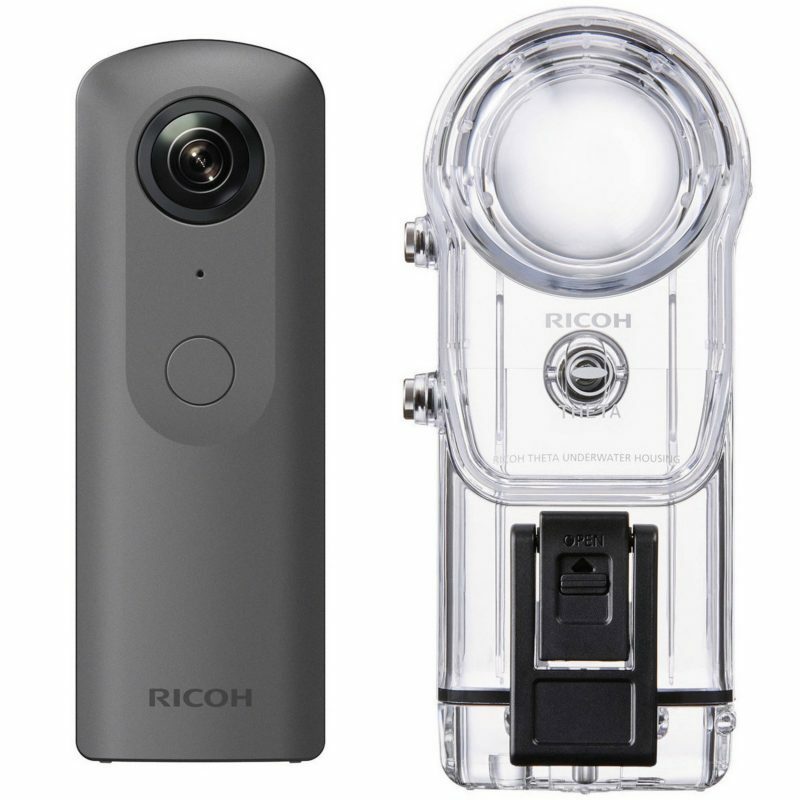 The Ricoh Theta V is a 4K 360 camera and the sequel to the most popular 360 camera ever, the Ricoh Theta S. The Theta V isa big upgrade from its predecessor, bringing high quality video, auto HDR photos and a powerful snapdragon processor for calculating white balance. The Theta V also has an optional waterproof housing that makes it water resistant to 30 meters. The case is specifically designed for the Theta V and also acts as a shock resistant case. 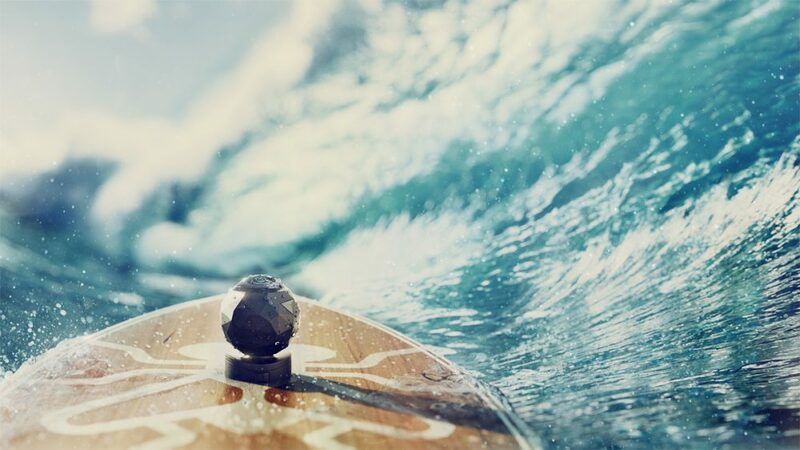 360 action camera that's waterproof and shockproof. 4K video looks great and easily controllable via dedicated app. A second generation 360 camera with 4K resolution and constructed with durable materials. 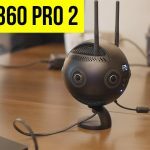 Targeted at the action cam market, the 360fly 4K boasts an impressive array of features; water proof up to 30 feet, dust proof, in built GPS, advance editing app, this is one of the big boys of the 360 camera crowd. The cameras field of view is limited to 360 x 270 degrees due to having only a single lens, never the less the quality of the 360 video it produces is one of the best available in this category. 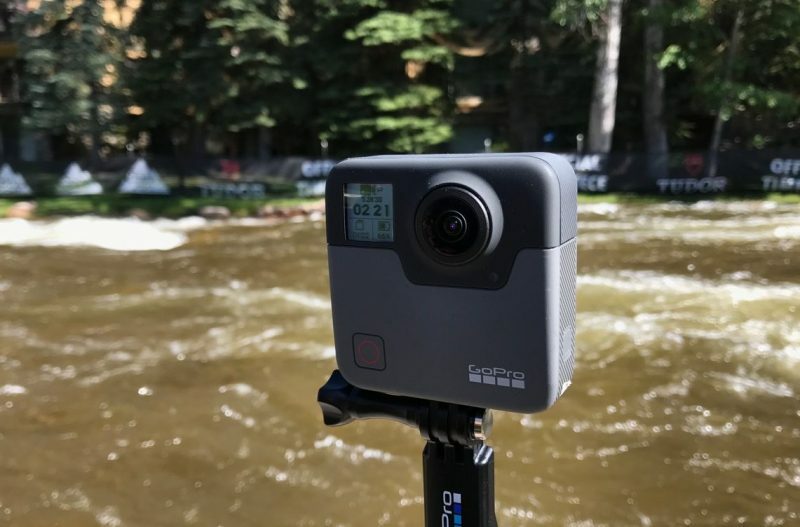 Veteran camera maker Nikon has released its first range of action cameras, one of which is the waterproof Keymission 360. The Keymission is a 4K 360 camera that can shoot UHD spherical video and stills, it features 2 lenses and has no blind spots. The camera is waterproof up to 30 metres, but you need to use an external case which may be visible in any video you shoot. The Keymission has decent hardware but has been dogged with software issues, if you can tolerate this then it’s one of the only waterproof 360 cameras that can shoot in 4K. 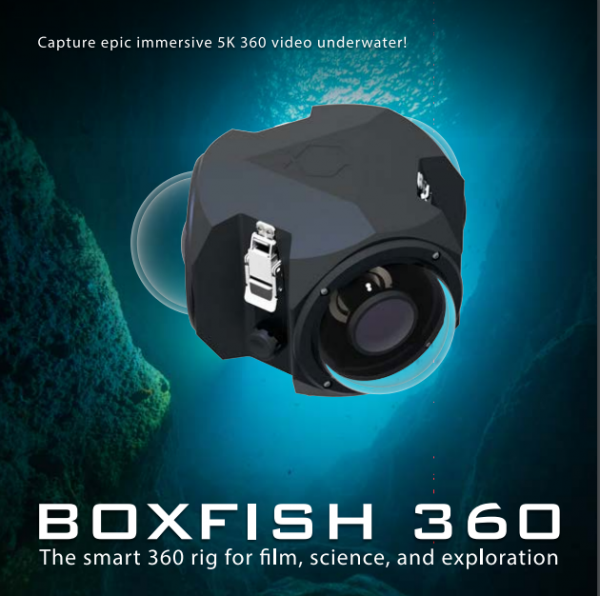 The Boxfish is a 360 camera specifically designed to be used underwater. It shoots high quality 5K video at a depth of 300 metres. It’s designed to be used by professional film makers or researchers who want to capture the depths of the ocean, so it’s a bit our of most peoples price range. The cost of the Boxfish 360 camera is a pricey $14,990, if you are interested in this very cool camera then check the Boxfish website. That’s all the options available for waterproof 360 cameras right now. 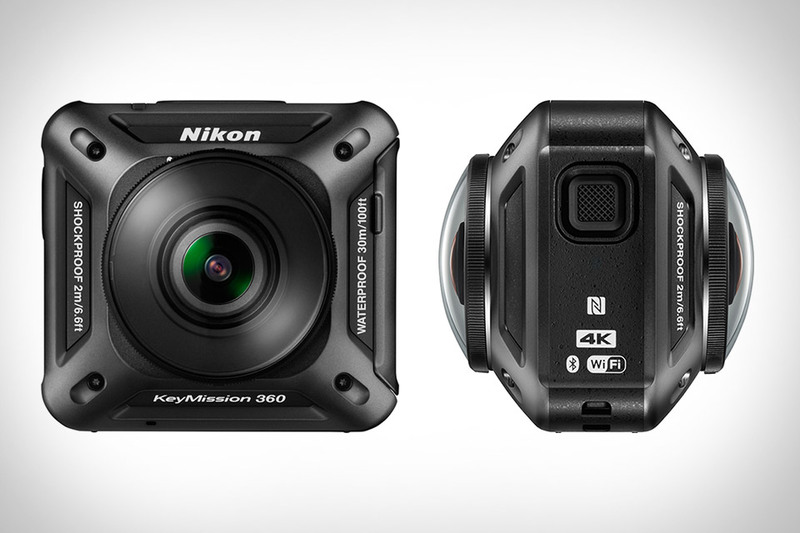 Apart from the very pricey Boxfish, the best by a long shot is the Nikon Keymission 360 as it shoots in full 360 degrees and in 4K, but it’s also the most expensive. Once the VIBE 360 camera is released this will be the clear winner in the waterproof 360 camera category. If any more waterproof 360 cameras are announced I’ll be sure to let you know. The GoPro Fusion 360 is only rated to 5m depth without housing and there’s no official GoPro underwater housing available. Third-party housing is not even worth buying, due to leaks at 20m, even though it’s meant to be rated to 45m. At close to 5m (+/- 1m), the front button (shutter button) is stuck depressed due to water pressure at depth.